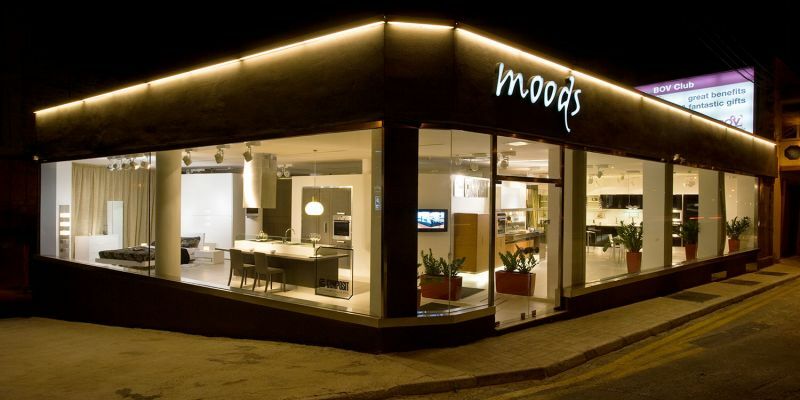 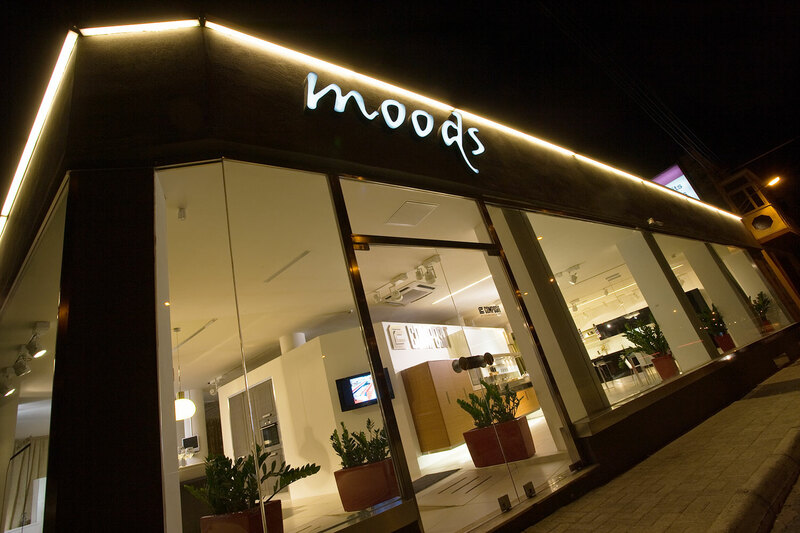 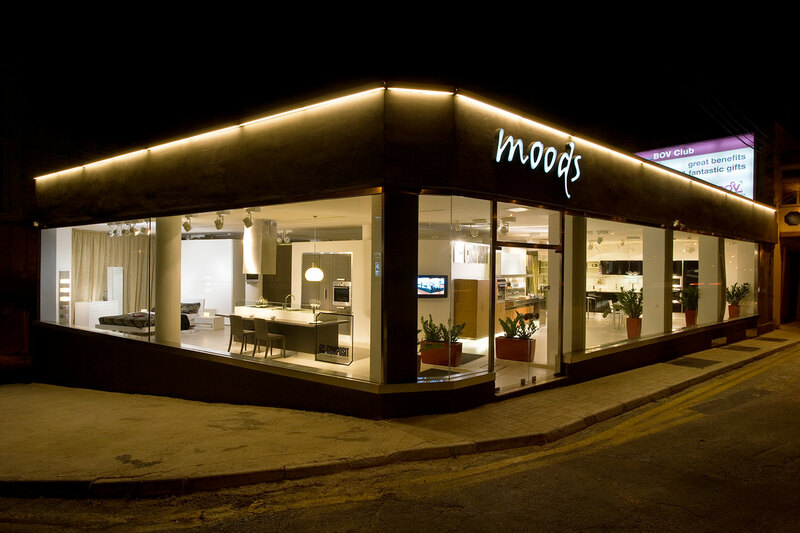 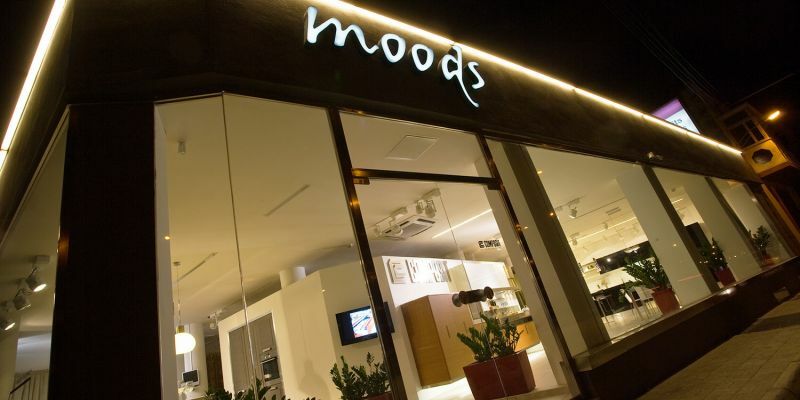 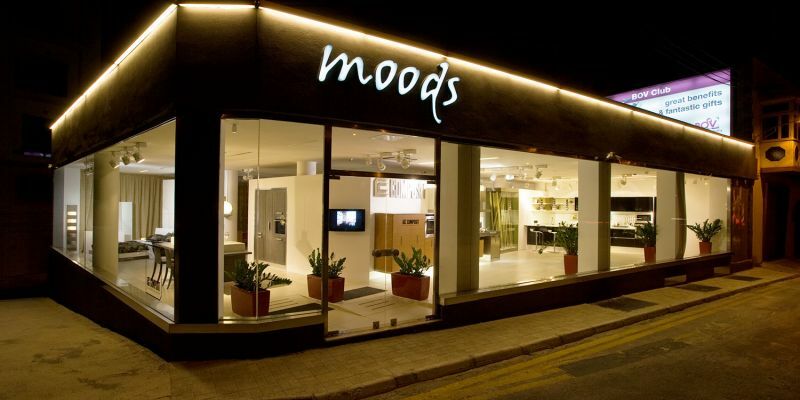 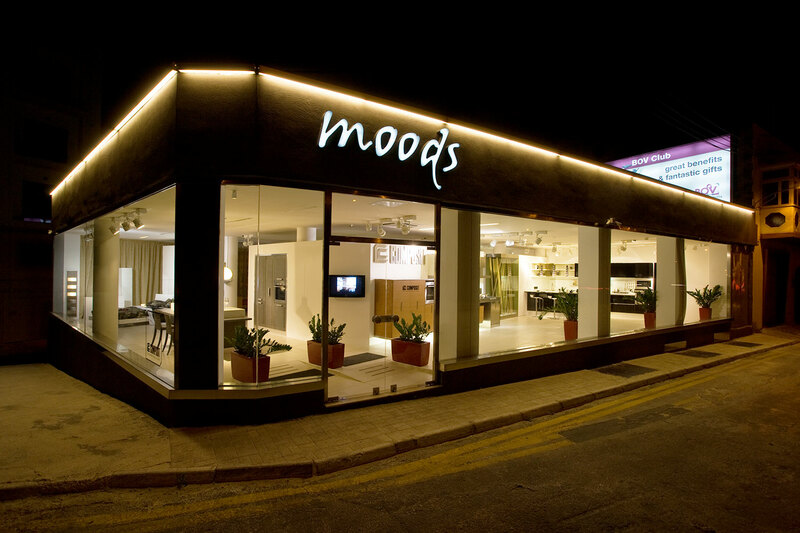 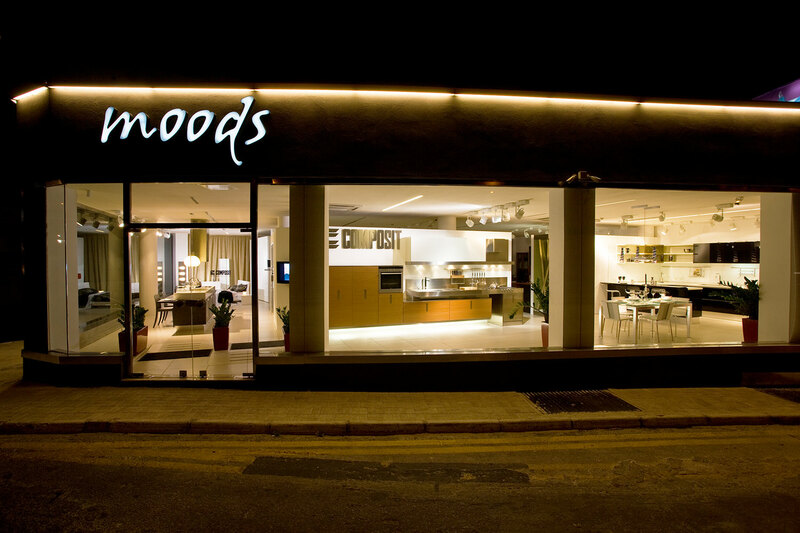 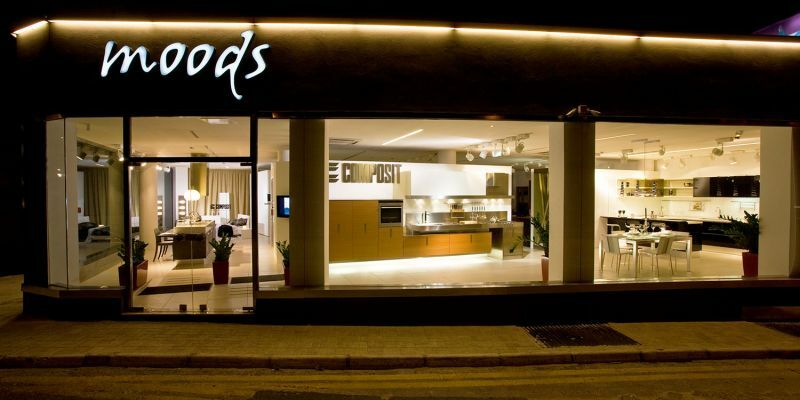 Furniture for house and officeMoods sell kitchens, bedrooms and office furniture. 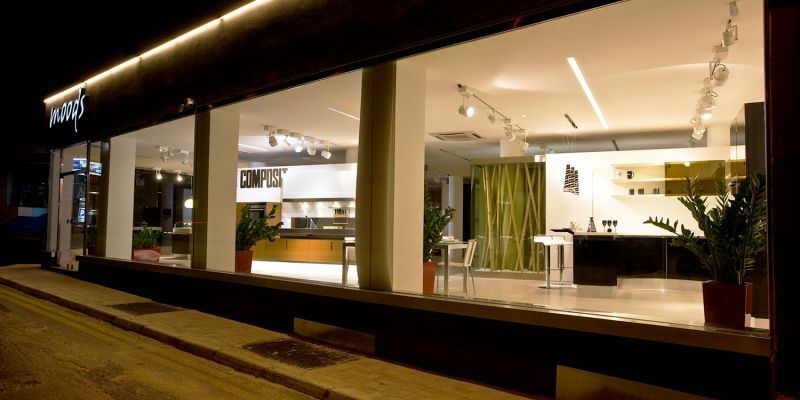 The lights form part of the furnishings, but the lighting system has a specific role to play here: it served to light up the objects better, adds value to the objects that complement the furniture and at the same time it conforms with the transformed spaces, that can change quickly the various displays. 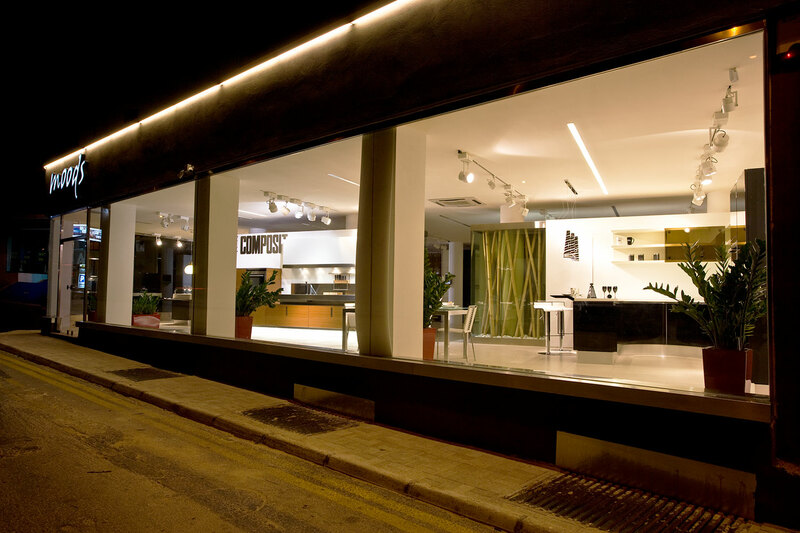 The project stands out for its flexibility: the lighting system can be synchronised (and distinguished, with energy saving effects) to work in those areas and moments when the customers are present, so as to illuminate better or create evocative areas.